8. Teach Classes—Art, Sewing, Cooking, Sports, Dancing, etc. 25. Mobile Keep ‘em Cool Stand—Spray Bottles, drinks, etc. How to choose which summer jobs for kids are right for yours? Let your kids’ business be theirs—not yours! Summer jobs for kids shouldn’t be a chore—it’s theirs and it should be fun. The whole idea is for kids to find something that they are passionate about and motivated to do. Keeping that in mind, summer jobs for kids should be fun, and the kids should be happy to be doing what they’re doing, happy to be making money and growing their business. If it becomes tedious or they want to quit, find out why and help them problem-solve. However, be careful not to try to rule their business or punish them for not running their business. Your job as parent is to coach, mentor and be on the advisory board—this will empower them and help grow their self-confidence and sense of competence. 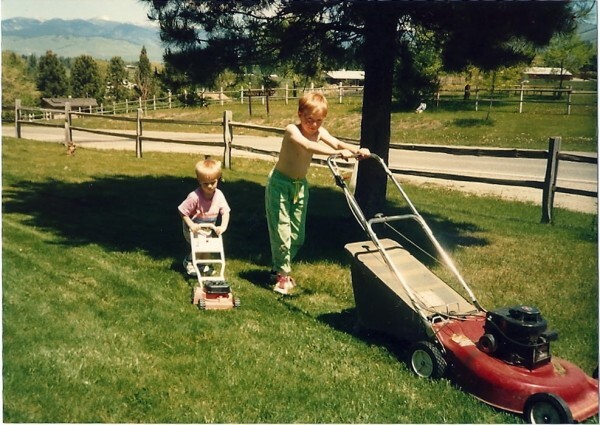 What jobs did you have when you were a kid? Have any other job suggestions that your kids might consider? Please feel free to make a comment about Summer Jobs for Kids in the box below. I believe summer jobs are a great way for children to become creative in what type of business they want to have, what service they will give, how much they will charge, and how to “advertise” the want. It’s also a great activity to keep them off the couch and away from the tv/video games. It’ll give them a sense of responsibility, and who knows maybe reopen the following summer. Also should they enjoy their “summer job” they’ll be more inclined when they are of legal age to go out into the work force and find a “real” job! I DONT EVEN NO HOW TO DESIGN A IPOD APP ARE U MENTAL??!!?!? IM 12!!!!!!!!!!!!!!!!!!!!!!!!!!!!!!!!!!!!!!!!!!!!!!!!!!!!!!!!!!!!!!!!!!!!!!!!!!!!!!!!!!!!!!!!!!!!!!!!!!!!!!!!!!!!!!!!!!!!!!!!!!!! It’s great to know that not only are students reading my blogs but are willing to comment! Thank you for that! perfectly fine if you don’t know how to design an app—just understand that the kids on this site are doing fantastic things…and you can too! Find your talent and then pursue it with passion…you just might wind up being a CEO kid, too! i don’t know what to do this Summer and i want to do a job and get money and i’m 11 years old. Thank you so much for writing! At 11 it’s going to be very tough to find a job, because older kids are out there looking, as well. You might talk to your neighbors about dog sitting/walking, getting a paper route with one of your parents, or even ask your parents what you might do around the house to earn money. On the other hand, I encourage you not to rush into the work force too quickly—let yourself be a kid and use your summer to have fun! I’m 13 years old and looking for a job. Thing is I don’t like talking a lot so I cant do as many jobs. I really don’t want to create an app either. so if there’s any job offerings that pay and I don’t have to speak as much then that will be great! Hi, Kayla. At your age, it’s going to be difficult to find paid employment at a business. However, you might look for something to do in your neighborhood, like help take care of lawns (pull weeds, pick up doggie droppings, cut grass); take dogs for a walk,; sweep the driveway/sidewalks, etc. See what your neighbors might need.